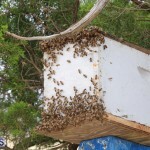 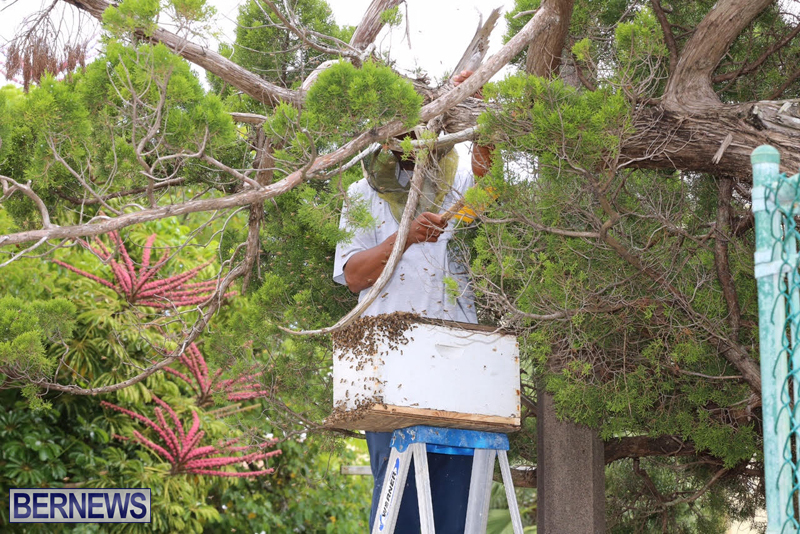 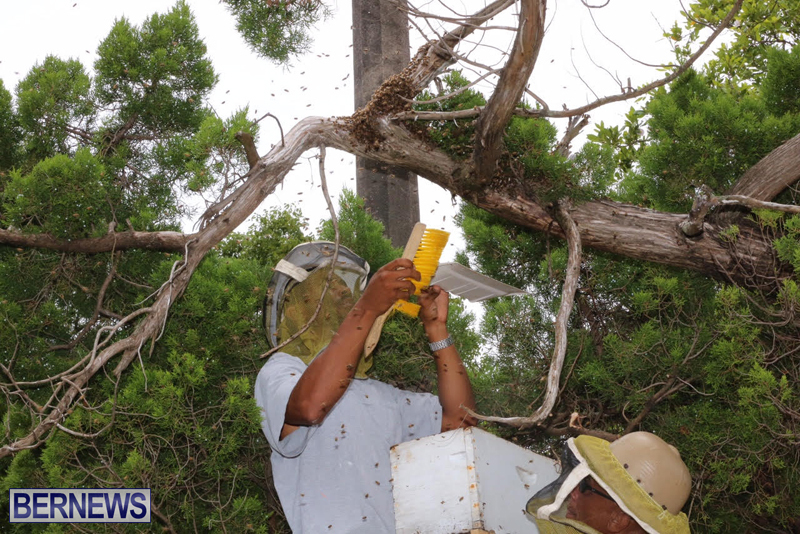 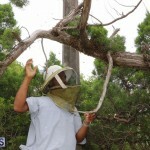 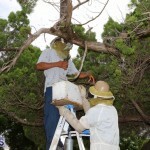 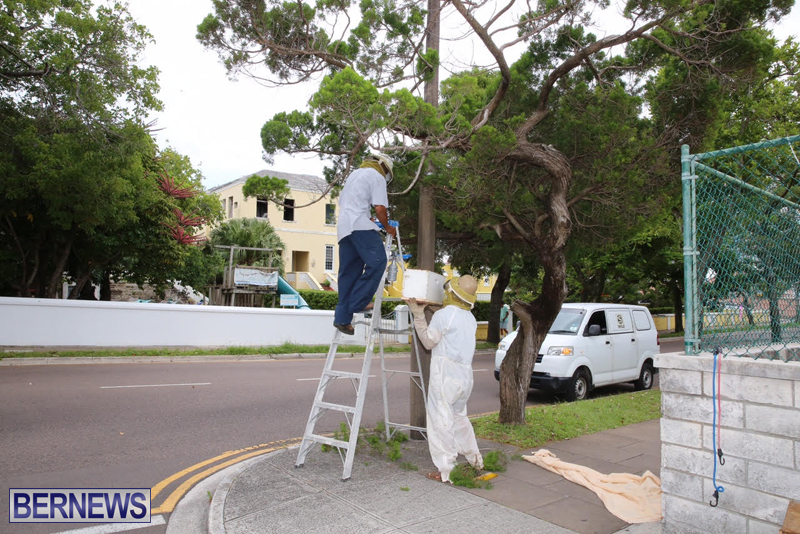 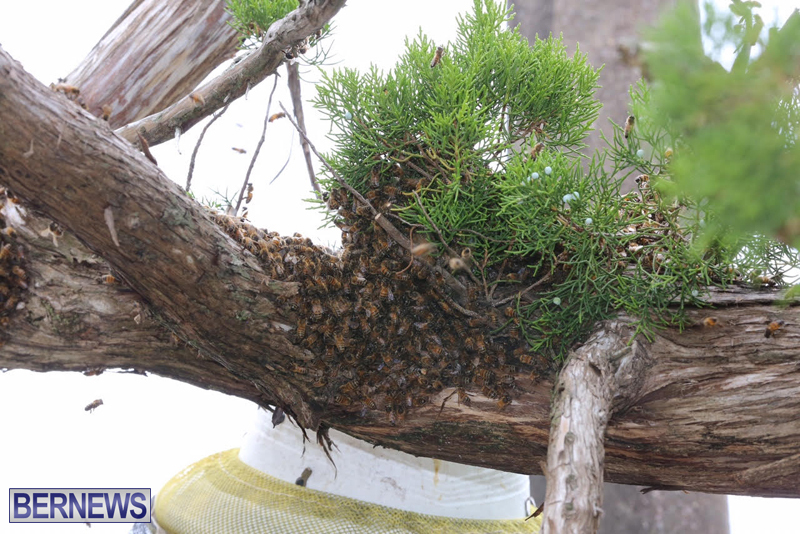 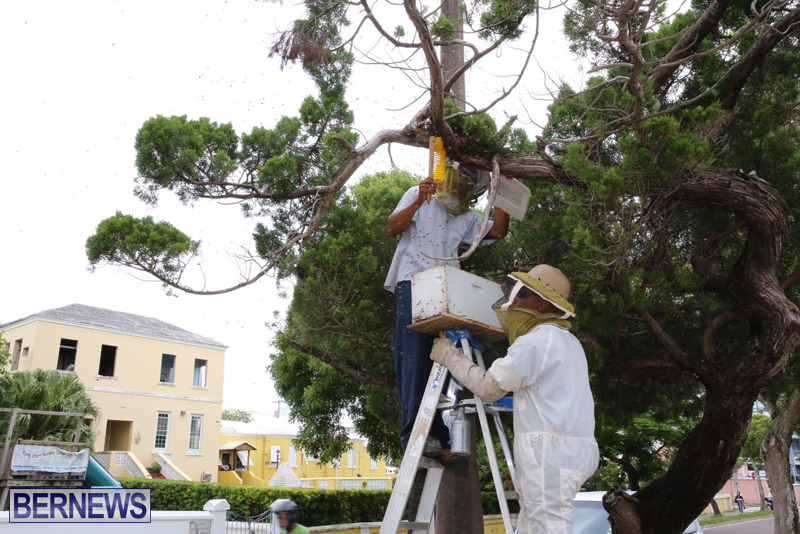 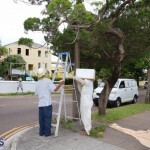 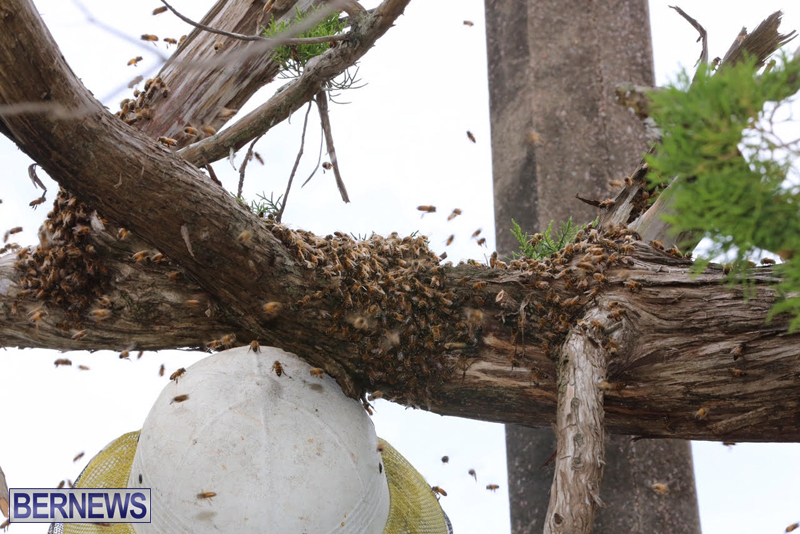 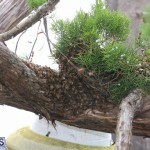 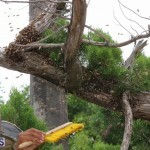 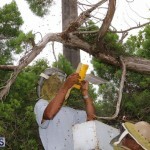 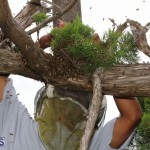 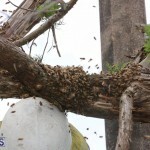 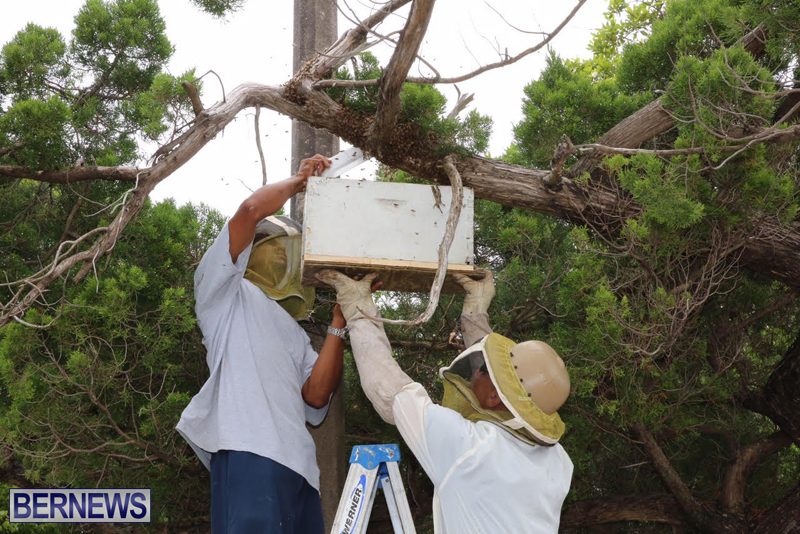 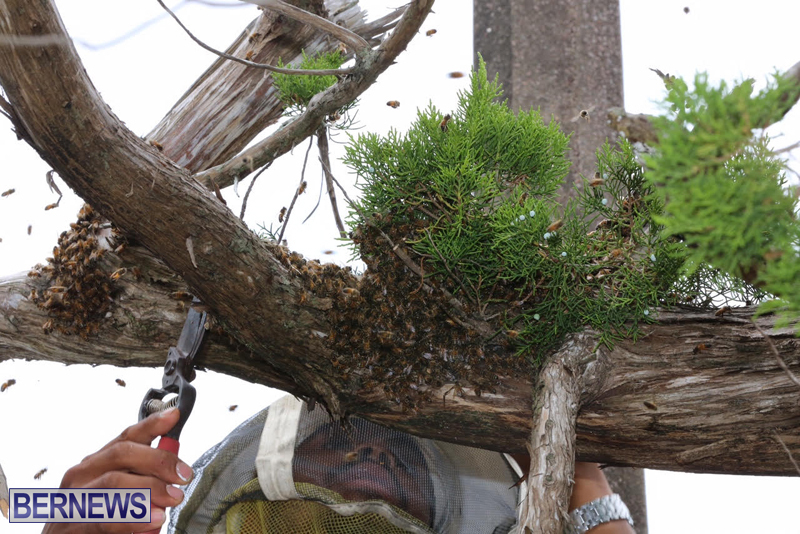 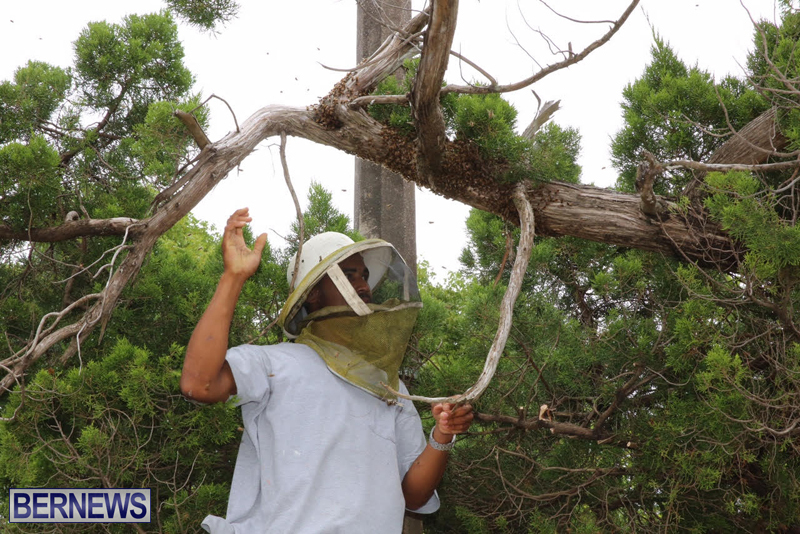 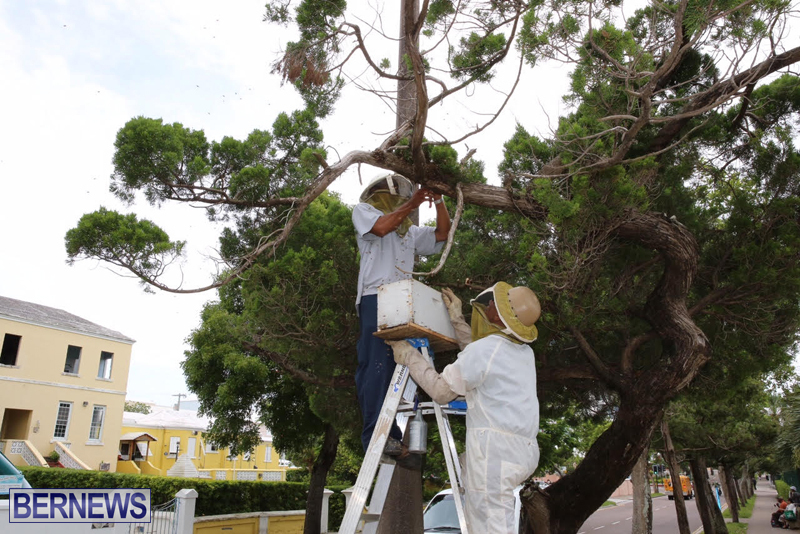 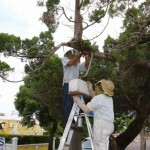 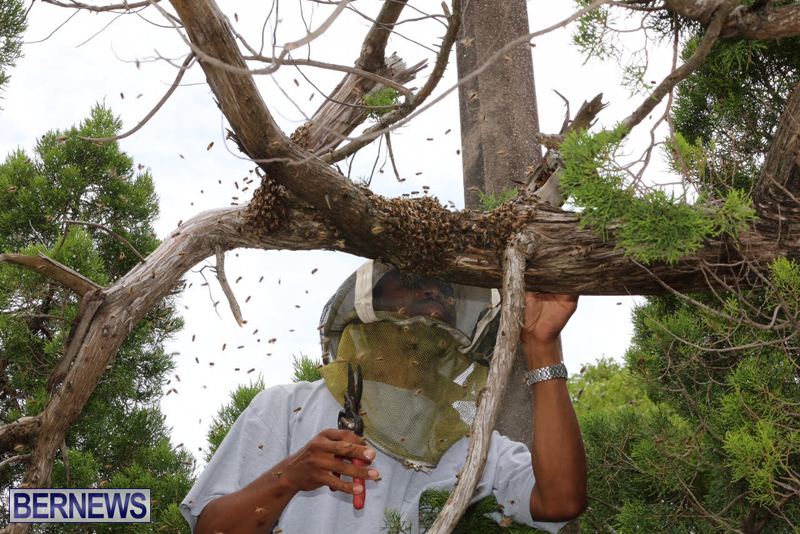 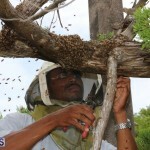 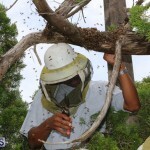 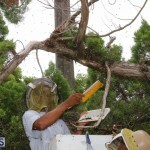 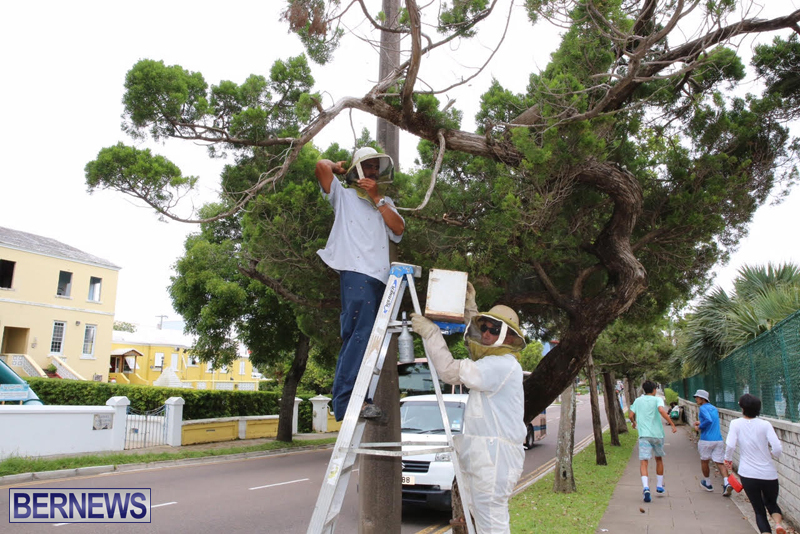 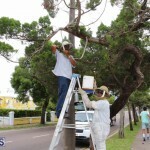 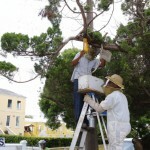 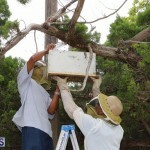 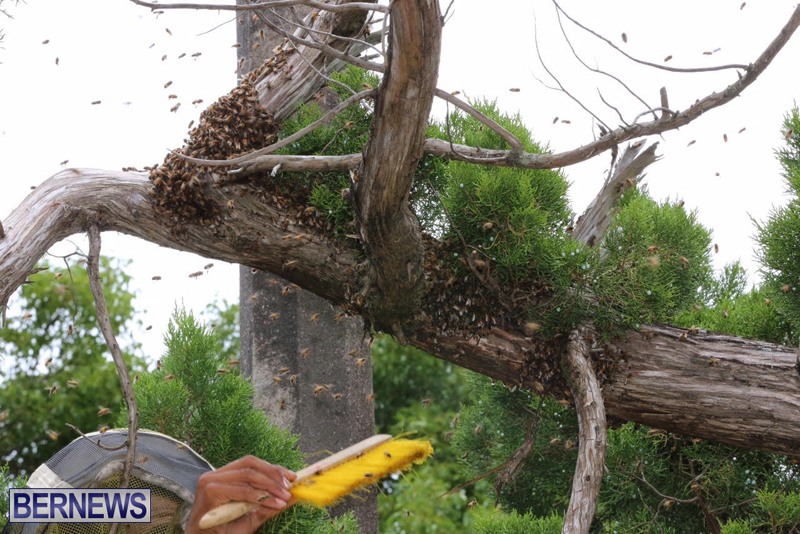 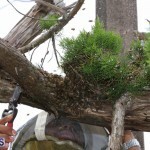 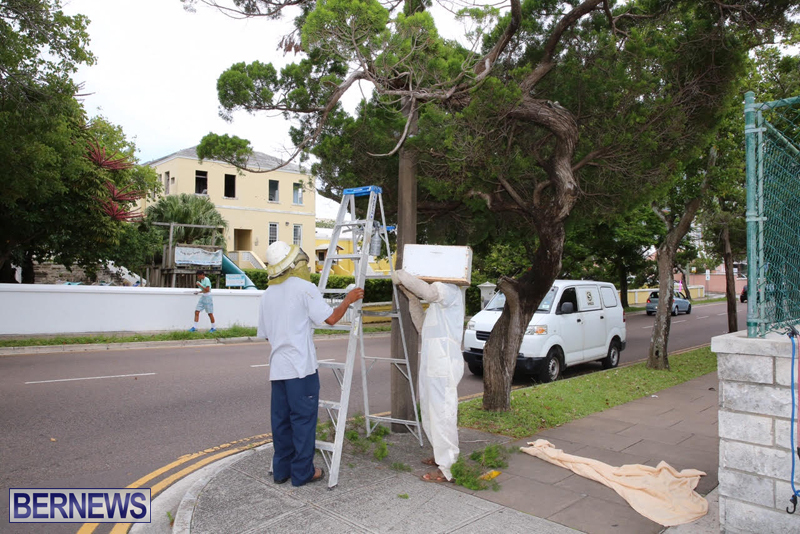 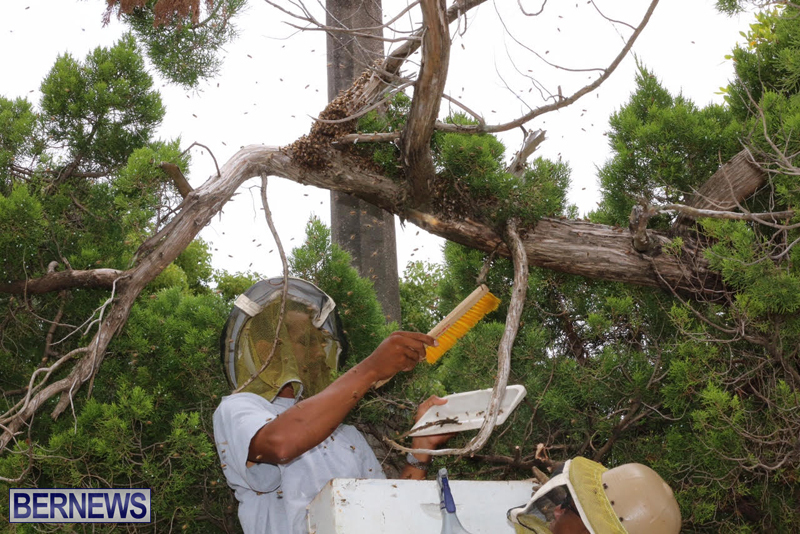 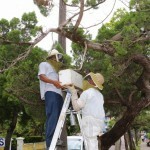 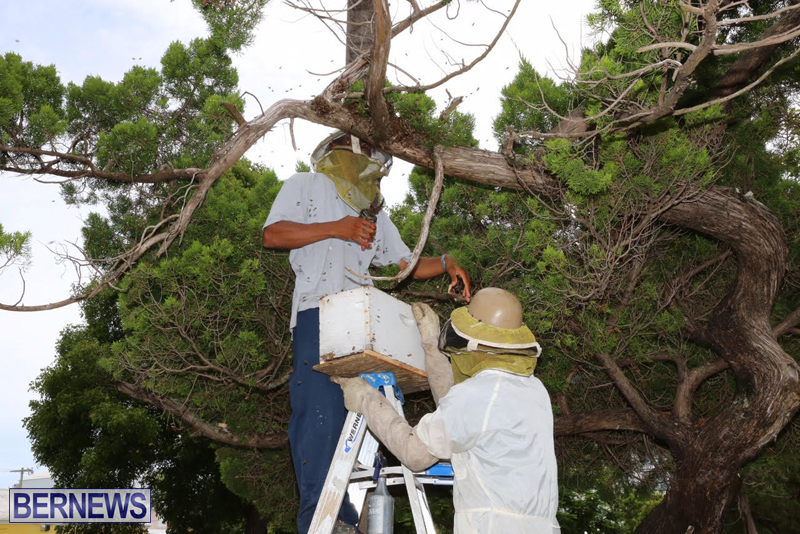 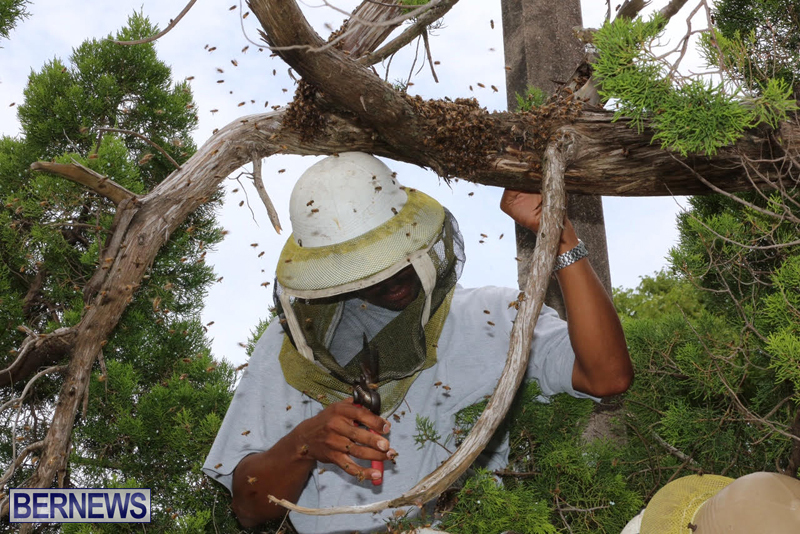 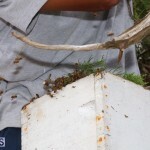 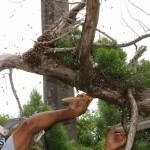 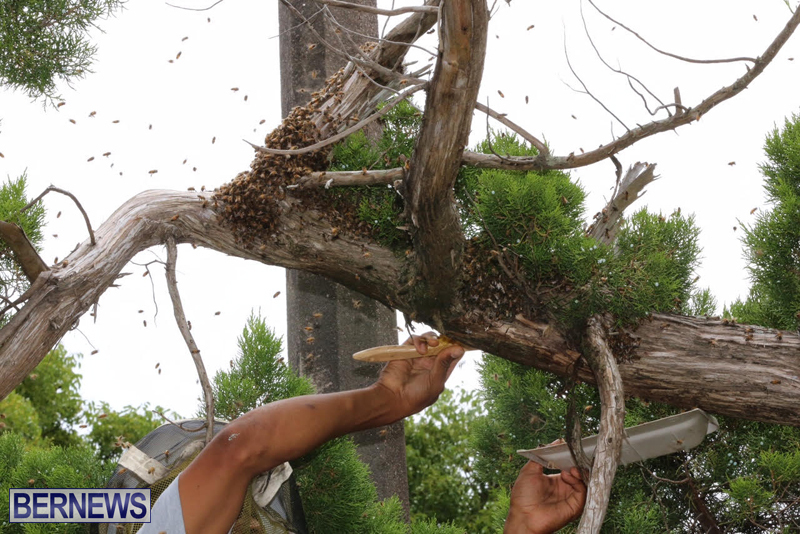 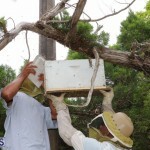 Beekeepers had to be called to remove a bee swarm today [June 23], with a large group of bees having swarmed on branches of a tree located on the corner of Cedar Avenue and Elliot Street. 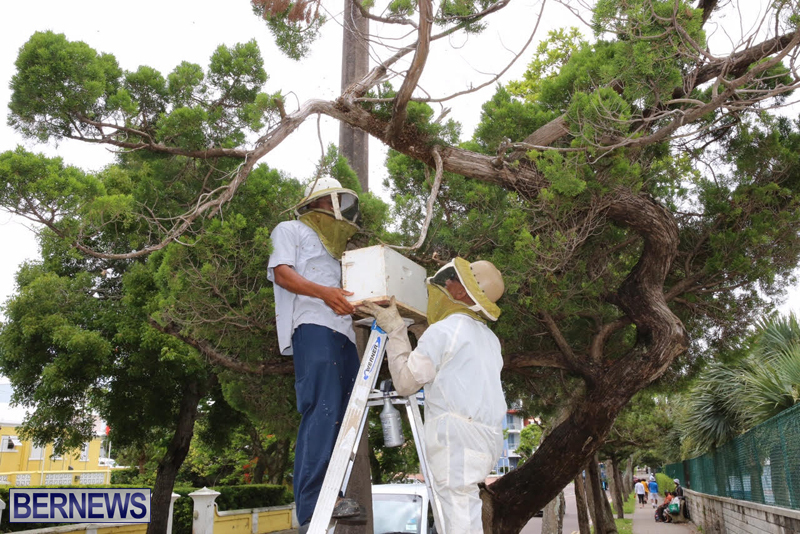 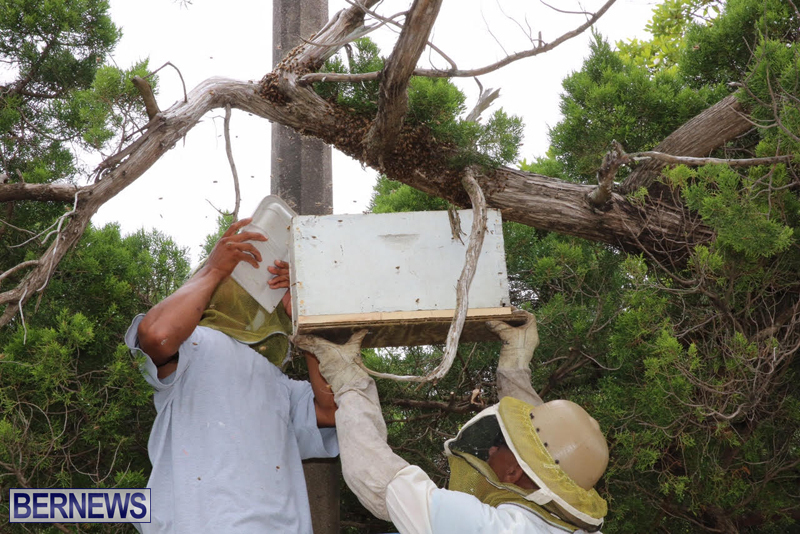 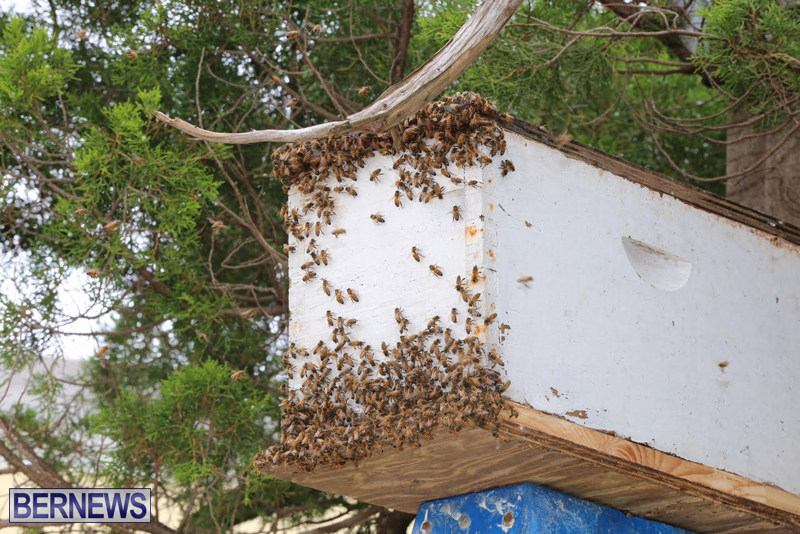 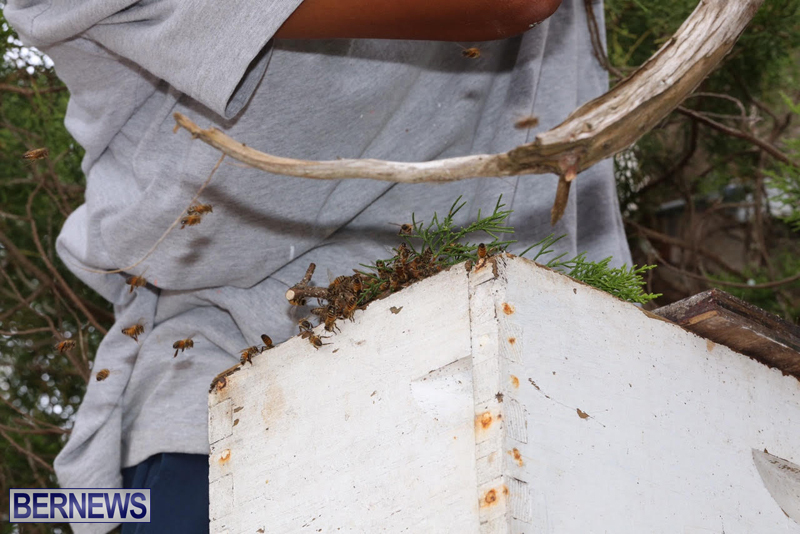 Apparently a passing pedestrian noticed the swarm this morning and reported it to Corporation of Hamilton, who arranged for it to be removed, with beekeepers Lewell Woolridge Sr and Jr arriving to remove the bees, placing them in a box and taking them away from the area. 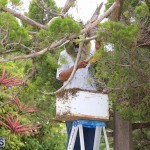 Bring dem dings down my house, I got some tomatoes that taking forever and a day to bud. 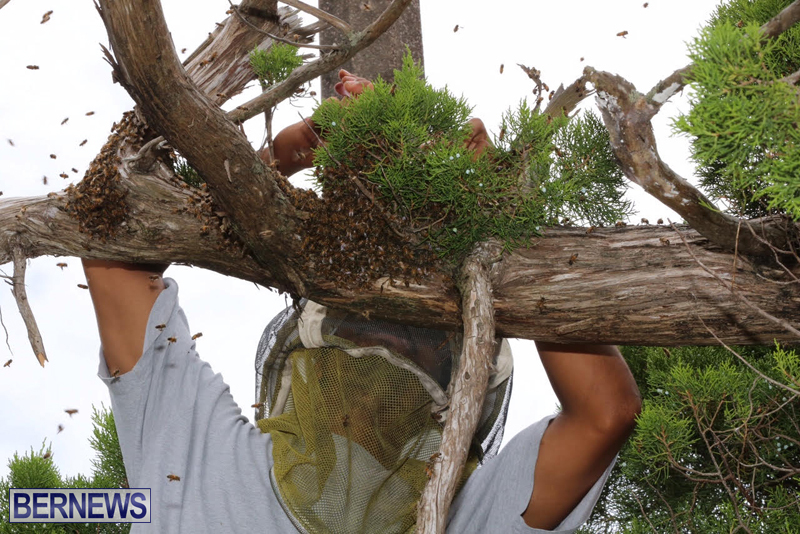 not just short sleeves, but his sleeves are wide enough for them to go inside the shirt. 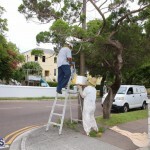 Bless him- Immunity I guess?